A new era has dawned for power utilities, as so-called "smart" technologies are giving them better and more profitable ways to manage and distribute their resources. If spectrum issues can be worked out, the potential for the smart grid is limitless. Knowledge is power. This mantra of the information age is proved true on a daily basis in myriad ways, whether the kind of power gained through such knowledge is political, financial or psychological. Given this, it is ironic that one sector of industry that traditionally has suffered from a lack of knowledge about its own internal operations are the utilities charged with the task of distributing power — entities that provide the energy necessary to fuel the modern lifestyles that increasingly are being transformed by new technologies and gadgets. Most notable of these companies are electric utilities, which have developed systems that have been remarkably reliable using the same network fundamentals that have served the sector well for more than a century. It has been noted repeatedly that, if the great inventors were alive today, Alexander Graham Bell would have difficulty grasping the concepts of today’s telecommunications networks that are largely based on IP and wireless technologies, while Thomas Edison would be able to recognize quickly the core elements comprising the modern power grid. A key difference between the two sectors has been research and development. 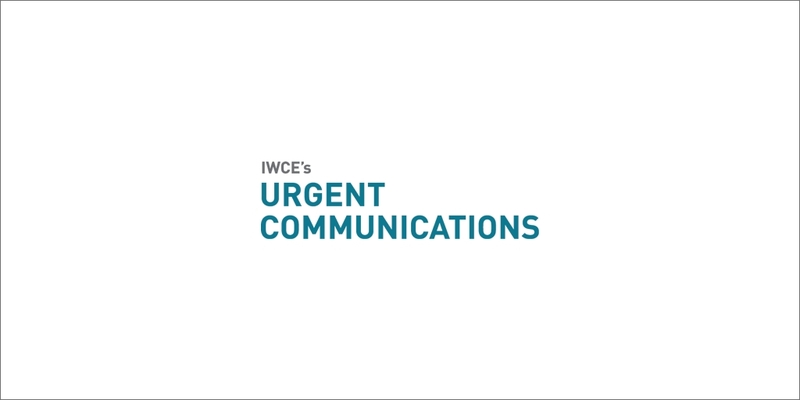 While electric utilities certainly have updated their networks internally, they have not experienced the significant technical transformations at the consumer level that have driven the telecom industry during the past two decades. 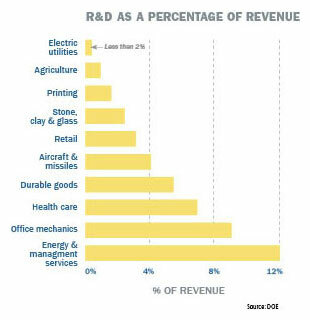 In fact, on a percentage-of-revenue basis, electric utilities’ research-and-development investments are miniscule when compared to other sectors (see R&D as a Percentage of Revenue chart on this page). Instead of expensive truck rolls to determine the location and cause of failures, the smart-grid vision would allow the network to communicate exactly where the problem exists, so it can be resolved as quickly as possible or be avoided entirely — a better scenario — by addressing the issue before it results in an outage.